ABG JS Ventilation Limited has launched COOL Ceiling and Customised Ventilation products for the consumers of Bangladesh. Winnie Estrup Petersen, Ambassador of Denmark to Bangladesh, was present at the launching ceremony held at Edge Gallery in Dhaka on Friday. Speaking at the event, Petersen said this would open new arena of technology and knowledge sharing between Bangladesh and Denmark. This will also contribute to SDGs on health and well-being. ABG JS Ventilation Ltd is a joint venture between the Danish JS Ventilation and the Bangladeshi ABG Interlinks. Established in April 2018, they conducted their production trial run in November 2018. ABG JS Ventilation brings Danish technology in Bangladesh with skilled workforces, said a statement. To see and experience the ventilation system, clients are invited to visit the Maghbazar showroom of the company, where a demo unit has been installed and operational under local conditions for almost one year. 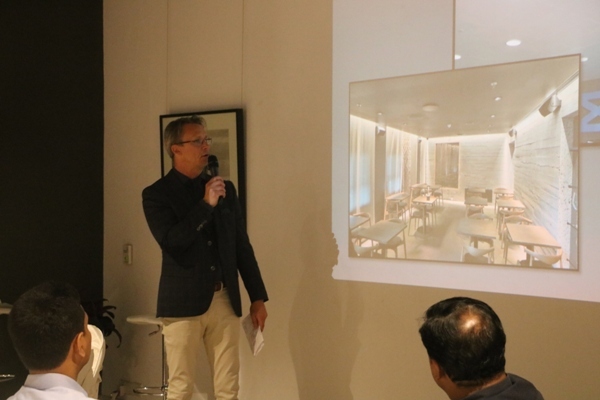 Søren Duval, Chairman and S M Gofranu lHoque, Managing Director of ABG JS Ventilation Ltd, stated that they were pleased to offer high quality Danish products at a more competitive price and shorter delivery time.